If you are one of the very few who has the computer that this game is compatible with then you are lucky. If you have the older versions then don't respond because you don't have the problem. All I get is the Lucasarts Intro Sound and a white box. Cosmi was nice enough to send me a replacement but it does not work either. I have two copies of crap. 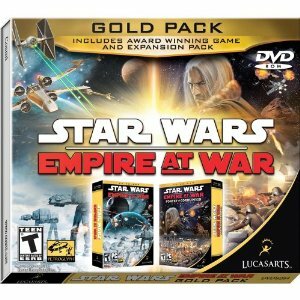 Don't buy Star Wars Empire at War Gold Pack. I hope I can get my money back from Wal Mart. Their release of SW Battlefield II was also a glich filled stinker which was never patched either. Lucasarts as usual are ignoring their customers. How can Lucasarts keep releasing glich filled crap? Do us a favor Lucasarts. Get out of the video game business if you don't give a damn about your customers. What happened to the excellent titles like Jedi Knights and X-Wing and Rebel Assault? Rolling a 20 will mean something again! I am thinking about expanding the natural "20" to do something cool every time it is rolled. HOLY Healing Strike!!!!! Heals 1d6 HP per level to all friends within Wis in feet and damages all undead. Fighters get the Critical Hit ability. When they roll a natural “20” they automatically do triple damage. This damage continues to cleave to the next monster if the first one dies from the massive damage. Critical hits improve to x4 at 4th level x 5 at 8th level improving every 4 levels. RECHARGING BLAST!!!! Spells are recharged? I will have to think about that. Their Critical hits go up every four levels like Fighting Men every four levels but start out at only x2 damage. KNOCKBACK STRIKE!!! All victims that don't die are thrown back 5ft per +1 of Strength. NATURAL FURY!!!! Storm clouds burst around Druid doing 1d6 a level in Wis radius damage to all enemies. FLURRY OF BLOWS!!!! Monk gets 1d6+Level hits. DIVINE STRIKE Any unholy or undead creature must save or die. EXPLODING!!! All enemies within Chr range take 1d6 per level. Their Critical hits go up every four levels like Fighting Men every four levels but start out at only x2 damage. +1 to hit every 4 levels. 8HP+1d8HP a level. MAGIC BLADE BLAST!!!! !All enemies within Int range take 1d6 every 2 levels. Their Critical hits go up every eight levels but start out at only x2 damage. LUCKY TO EVERYBODY!!! Everyone gets to roll 2 dice and pick the best. I may have a few more classes to add soon. I want all the options that I can get. 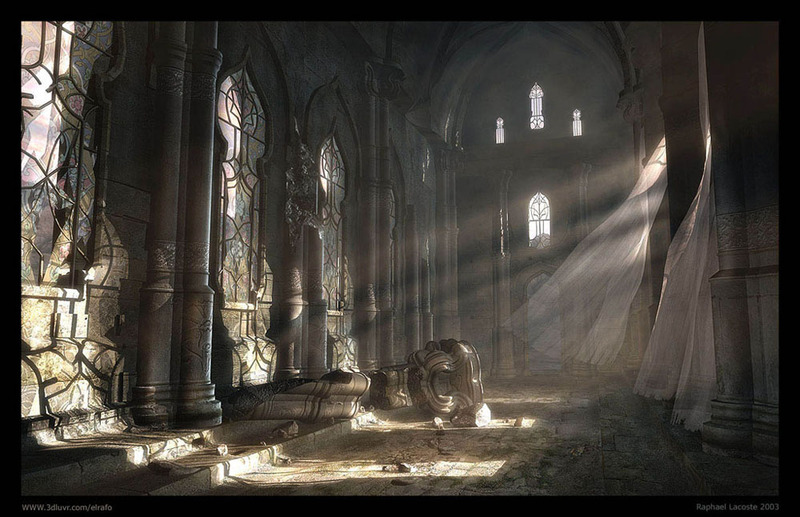 The cleric is a priest of the old and ancient gods. He heals the sick and uses the powers from his god to further his gods cause. A cleric must have a Wisdom of 9 or more. 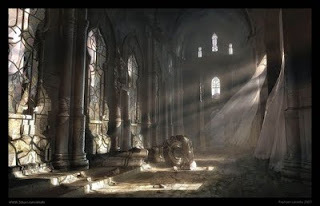 A cleric may use his Wisdom to receive an insight from his god. He also may use his Intelligence on questions of Lore and Theology. The Cleric may use his Constitution to keep his concentration if he is hit while casting a spell or distracted in any way. Normal difficulty is 10 + Damage done. The Cleric may also use his Charisma to preach to people to keep their spirits up and convince them of the “right” path to take. Can turn undead. Can cast Cleric Spells. He is able to fight quite well and can use any armor. The various religions restrict most clerics to blunt weapons though some gods allow for their chosen weapons. A cleric may convert any memorized spell into a healing spell at will. May use Chosen weapons of God. May wear any armor. +1 to hit every 4 levels. 8 HP+ 1d8 a level. The brave and strong Fighting man is the backbone of any adventuring group. The Fighting Man answers most conflict with weapons drawn. They are trained at all weapons and armor. They are the simplest class to play. A Fighting Man must have a Strength of 9 or more. The Fighting man may use his Strength to perform a feat of Strength such as moving heavy objects that no other characters can use. The Fighting man may also use his Intelligence to see the quality of weapons and armor. A fighting man may also use his Wisdom to keep control of his horse or other steed. You are proficient in all weapons and armor. Fighters get the Critical Hit ability. When they roll a natural “20” they automatically do triple damage. This damage continues to cleave to the next monster if the first one dies from the massive damage. Critical hits improve to x4 at 4th level x 5 at 8th level improving every 4 levels. You get +1 to hit every 2 levels. 10 HP+ 1d10 a level. The magic user is the wizard and witch of old. They can cast many spells but are untrained at all forms of weapons and armor. A magic User must have an Intelligence of 9 or more. A magic user may use his intelligence to see if he knows any lore about any certain occult subjects. Can cast Arcane Spells. The magic user may use his Constitution to keep his concentration if he is hit while casting a spell or distracted in any way. Normal difficulty is 10 + Damage done. Has 2+ Int bonus of 0 level spells and 1 plus Int bonus of first level spells plus ALL magic-users have Read Magic for free. The magic-user must look for or buy any future spell he needs to cast. Can create scrolls at 1st level and create magic items at 7th level and beyond. Has the ability of Wand Use if he buys the proper wand of power. Can poorly use any weapons and armor but cannot cast in armor. +1 to hit every 6 levels. 6 HP+ 1d6 a level. The Thief is a trained criminal. He is the master of stealth and locks. You are a Thief. You must Have Dexterity of 9 or more. A wisdom of 9 or more is helpful also. A thief can use his Dexterity to pick locks, pick pockets, disarm traps, do acrobatic feats, and move completely silently. He uses his Wisdom to hear noises that no one else can hear, find traps, and hide in the shadows. The thief uses his Strength to scale sheer surfaces that no one else can provided there is some sort of grip. The thief also has a secret language called thief’s cant. If the thief can sneak up on a person or do a surprise attack it does extra damage. Last but not least the Thief may use his Charisma to trick a magic item into working for him that would otherwise only work for another class. You can use any weapons and wear any armor but can only do most thieving in Leather Armor. If medium or higher armor is worn subtract one point from any thieving skills you try for every point past AC 12. You can also do a sneak attack that does +1D6 every 4 levels. +1 to hit every 4 levels. 6 HP+ 1d6 a level. Assassins are hired killers. To be an assassin one must have a Strength of 9, Dexterity and Wisdom of 12 or more. They specialize in the quick kill only if the opponent is unaware and fails his save. Only one chance is given for a surprise attack. They tend to wear light armor and can use any weapons and armor. An assassin has all the abilities of a thief but not as good. If the assassin uses his Intelligence he may brew up poisons. He uses his Wisdom to shadow a victim. If medium or higher armor is worn subtract one point for every point past AC 12. +1 to hit every 4 levels. Assassinate (DC10-Level)+(+1 DC) per level of victim only on a surprise attack. Unarmed Attack. 8 HP+ 1d8 a level. Barbarians are warriors from primitive civilizations. To be a barbarian one must have a Strength and Constitution of 14 or more. They tend to distrust magic and have trouble with any technology greater than Stone Age. Barbarians tend to use large two-handed weapons. Barbarians use their Strength to perform Feats of Strength, Jumping long distances, and climbing sheer cliffs but not as good as a thief. They use their Dexterity to perform stealth as good as a thief as long as they are in leather armor or less. They use their Constitution to drink large amounts of alcohol, ignore pain, and resist poisons and drugs. They use their Wisdom to sense the weather and wilderness survival. They use their Charisma to intimidate and push around lesser people. With two handed weapons may cleave +1 creature per level. Their Critical hits go up every four levels like Fighting Men every four levels but start out at only x2 damage. This means that when you kill one creature your blade passes through it to the next creature. You continue this until you run out of cleaves or movement. Rage which gives +2 to hit and damage for Constitution in Rounds plus 1 a level. Must roll Wis or Higher to come out of Rage. All barbarians gain +5 Movement every 2 levels. You get +1 to hit every 2 levels. 12 HP+ 1d12 a level. A bard is a jack of all trades using his Charisma to influence others and cast magic. The bard is a traveling teller of tales and magician. A bard must have a Dexterity and Charisma of 12 or more. If medium or higher armor is worn subtract one point for every point past AC 12. A bard has all the skills a thief does but not as good. The bard also can use his Charisma to con, Seduce, charm, and convince people to do his bidding. He uses his Intelligence to see if he knows and lore or theology like a druid, wizard, or cleric just not as good. The bard knows spells like a sorcerer but picks them from any of the spell list. Leather Armor Only and Can use any weapons. +1 to hit every 4 levels. 8 HP+1d8 a level. A druid is an priest of nature. He has many powers and abilities to protect the wilderness. A druid must have a Wisdom and Constitution of 9 or more. The druid can use his Intelligence or Wisdom to see if he has any Lore about survival, plants, animals, or the weather. The Druid also has the ability to use his Wisdom to sense the unnatural when he is in a natural setting. Natural Weapons and Armor only. +1 to hit every 4 levels. 8 HP+ 1d8 a level. Has Spells from the Druid list. A monk is a trained martial artist. A monk does 1d6 per hand to hand attack adding another 1d6 every 2 levels as a separate attack. A monks defense goes up one every two levels as well. A monk adds five feet to his fall distance every two levels. The monk is immune to any from of mind control and illusions at eighth level and is immune to any quest or geas at tenth. A monk may fake death at fifth level. The monk can use his Dexterity to do incredible acrobatic feats far better than the thief as well as scale sheer surfaces, move silently, and hide in shadows. The Monk may use his Wisdom to sense danger far better than any other character. The Monk can use his Wisdom or Intelligence on minor Lore questions. All Monks gain +5 Movement every 2 levels. You get +1 to hit every 2 levels. 12 HP+ 1d12 a level. The noble is a steadfast fighter and natural leader. The noble uses his Intelligence to recall many subjects of Lore and Heraldry. He uses his Wisdom to perceive the true motives of others. The noble also uses his Charisma to inspire or intimidate others. Many dabble in the use of magic items and scrolls as their training in lore allow them to use such things. The noble doubles the amount of starting gold. +1 to hit every 4 levels. 8 HP+1d8 a level. A paladin is a holy knight. The paladin may use his Wisdom to sense evil within a 20 foot radius. This ability automatically works within five foot of the Paladin. The Paladin may also use his Intelligence to see if he has any Lore like a Magic User or Cleric just not as good. He also has the Lore of Demons and Devils. The Paladin may also use his Charisma to command and inspire his party. He uses his Wisdom to ride his steed into combat. Their Critical hits go up every four levels like Fighting Men every four levels but start out at only x2 damage. The paladin can heal his Charisma bonus plus 2 Hit Points a level per day. Cast cleric spells at -5 Levels. You get +1 to hit every 2 levels. 10HP+ 1d10 a level. The Ranger is a warrior and a scout who is very skilled in wilderness survival. The ranger uses his Strength to climb great cliffs and trees as well as great leaps. The Dexterity attribute for Stealth and Trapsetting. His Constitution for endurance to keep running far longer than others before tiring. He uses his Wisdom for the Lore of Beast, Weather Sense, Tracking and Survival in the wilderness. He uses his Charisma for calming wild beast. If medium or higher armor is worn subtract one point for every point past AC 14. Humanoid Hatred gives the Ranger +1 every 2 Levels to Damage Done. +1 Bow attacks. May fight with offhand weapon at –2 to hit if wearing Chainmail or less. Their Critical hits go up every four levels like Fighting Men every four levels but start out at only x2 damage. Cast Spells as Druid -5 levels. You get +1 to hit every 2 levels. 10 HP+ 1d10 a level. A sorcerer is a caster of magic much like a magic user except that his magic is not learned it comes naturally. A Sorcerer must have a Charisma of 9 or more. Sorcerers always look odd or exotic and tend to look in a certain way such as angelic, bestial, draconic, or (or whatever) demonic. The Sorcerer may use his Constitution to keep his concentration if he is hit while casting a spell or distracted in any way. He may use his Intelligence for lore but past that he knows very little. He can use his Wisdom to perceive magic in an area and at higher levels even tell what the magic is. The sorcerer can also use his Charisma for fashion sense, to fascinate or manipulate others, seduce, and hypnotize them. Sorcerers know half of the spells that can use per day rounded down and naturally gain spells whenever they gain a level. Unlike wizards they do not have to memorize their spells and use their Charisma instead of Intelligence for obtaining spells per level. They can use any weapons and armor but cannot cast in armor. +1 to hit every 6 levels. 6HP +1d6HP a level. The spellblade has all the abilities of a fighting man and a magic-user. Unlike a magic user he can wear armor but he is limited to chainmail and cannot use a shield. The spellblade starts off with all the abilities of a fighter and a magic-user at first level and his spell casting goes up every odd level. Their Critical hits go up every four levels like Fighting Men every four levels but start out at only x2 damage. +1 to hit every 4 levels. 8HP+1d8HP a level. A wanderer is a character that is not a standard adventurer type and when you roll too low to be any useful class. He can start off by using leather armor and can increase his armor by every five levels. All wanderers have dumb luck once per day per level where they can re roll any failed roll. What he does with his abilities is up to the Game master and the players. Many can dabble in the use of magic items although not as good as a thief. Their Critical hits go up every eight levels but start out at only x2 damage. +1 to hit every 4 levels. 6 HP+ 1d6 a level. The simple way is to roll a D20 and add the Attribute bonus (or subtract) plus ½ your level. Every 4 levels you get to improve one attribute by 1. The higher the roll the better the result. Some tasks have a difficulty number. 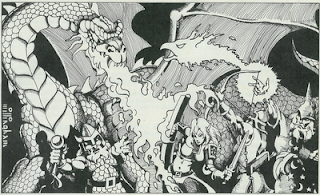 The game master may require the Player to write a good character history to determine background skills. Instead of a huge complicated skill list you just make up a background and from there you get your skills. For instance if you say your character was raised on a farm he would have the knowledges that a rural farm boy would have such as tending to crops and animals, barn building, and a few wood wise skills as well. A city dwelling character would have different knowledges as well. The game master will be the final decider on what a character can have as there will always be the player that tries to great at everything. Give anyone wanting a background as such many troubles that such an adventurous background would give. Hope to soon have a file hosting site to use.